Adam will be our guide to the wines of this iconic producer. 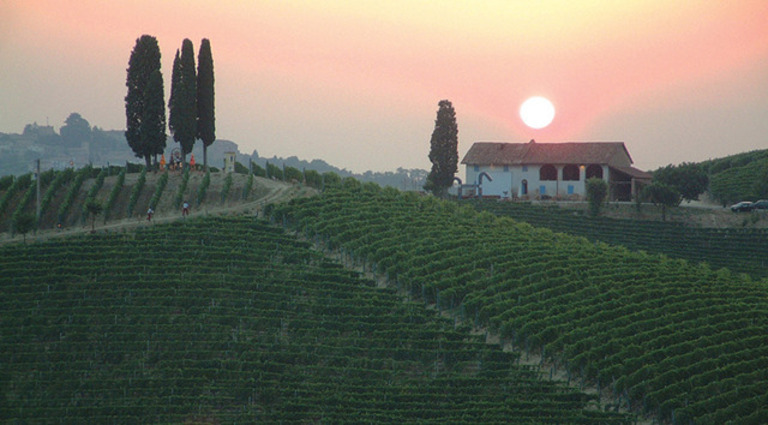 Barbera, Barbaresco, Barolo, and more, we’ll taste some of the finest wines of the region. 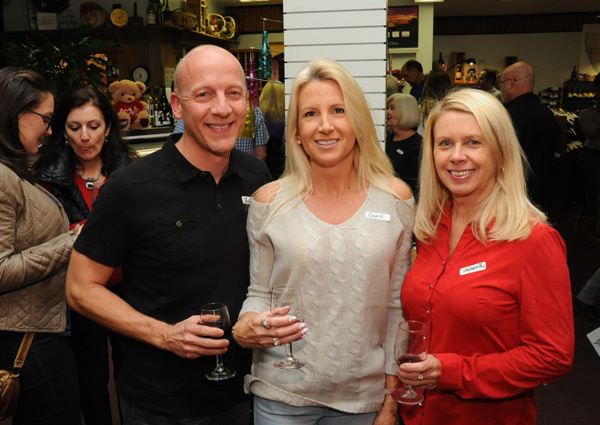 Adam has been to Wine World before and is a great presenter of stories, anecdotes, and history of the wines and their producer. Sign up early, we expect this seminar to sell-out! 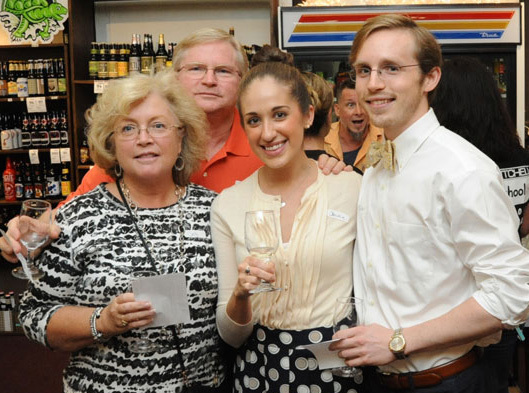 Jeff Hickenlooper, National Sales Manager with Revelry Winery, will guide us through ten of their wines. 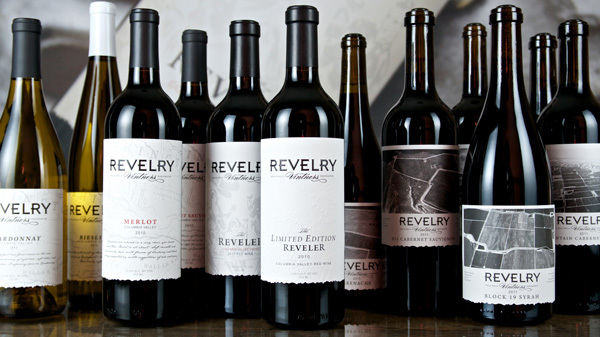 Founded in 2005 Revelry has quickly become one of the premier winerys in the Columbia Valley, offering both very well made affordable wines under $20 as well as spectacular Single Vineyard bottlings that drink well above their price range! 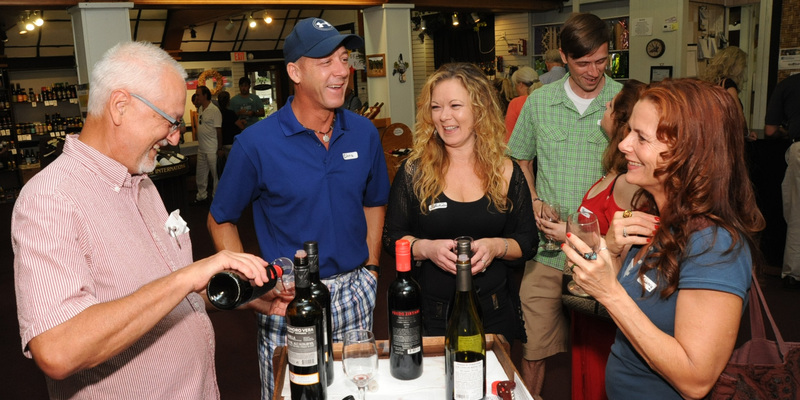 Winemaker and Owner Jared Burns says: “Individually our wines are each very distinct, yet they all share the common qualities of balance, moderate structure, and dynamic flavor.” A few of the wines are being brought into SC specifically for this tasting. 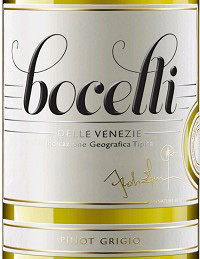 Andrea Bocelli loves his white wines, and it shows in their delightfully crisp, complex Pinot Grigio. Grown in the green hills of the Colli Euganei in Veneto, the vines are thick and knotty, averaging about 15 years old, and yielding just enough grapes to make only one bottle of wine per plant. One bottle! With aromas of fresh Meyer lemon, mint, white flowers and sea salt,this wine is zesty, delicious, and made with integrity. Lemon Chicken Piccata, Grilled Halibut with Cilantro Garlic Butter. Sauvignon Blanc. Aromas of herb, grass, pear and citrus lead to sleek fruit flavors. It shows a lot of elegance but lacks concentration. The 2015 vintage is packed with orange zest, lime, Asian pear andhoneydew melon flavors and aromas. Ultimately refreshing! Finishes with a juicy, cleansing aftertaste. 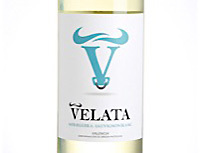 Enjoy this crisp,sunny white as a stand-alone or paired with shellfish or mildly-flavored appetizers. 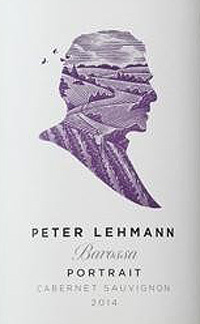 34% Gewurztraminer, 30% Muller-Thurgau, 28% Pinot Gris, and 8% Riesling. 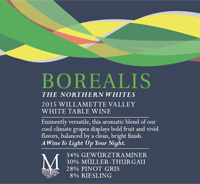 Mouthwatering and multi-dimensional, this perennial crowd pleaser is a blend of cool-climate whites.. Intensely aromatic, with a nose of tropical flowers, ripe kiwi and melon, the silky soft palate is brimming with rose petals, pink grapefruit, mango and white nectarine then finishes on a high, clean note of bright key lime. Organic. Spicy Foods, Fish, White Meats. Berry jam up front, followed by darker plum through the palate peppered with subtle notes of licorice. Velvety tannins offer grippy structure without hindering approachability. 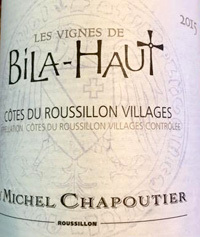 Bila Haut is a big boy in Chapoutier’s lineup, showing plenty of black fruit and spice, Pair with a nice cut of beef or Mediterranean food. The jaw-dropper in the lineup was the quality of the 2015 Haut Cotes de Roussillon Villages les Vignes de Bila Haut. 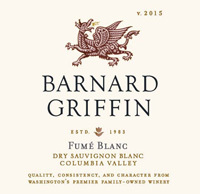 While the entry level wine from this estate, the quality here is incredible, especially at the price point. Made from 50% Grenache, 40% Syrah and 10% Carignan from a mix of the estate’s terroirs, aged in concrete tanks and stainless steel, it offers a rich, concentrated and serious feel to go with fabulously pure notes of blackberries, black raspberries, crushed rock and melted licorice. Thick, unctuous and luxuriously textured, this will certainly be the greatest vintage of this cuvee to date. This has finesse, with an iron core surrounded by blackberry, cassis, plum and garrigue flavors. Full tannins offer structure, with details of olive and bay leaf that linger into the savory finish. Drink now through 2020. 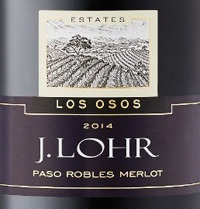 The 2014 J. Lohr Estates Los Osos Merlot presents a mature red color with a raspberry hue. Plummy fruit aromas are integrated with a chocolaty barrel signature of mocha and baking spice. Whole berry fermentation with a generous use of Malbec in the blend accentuates the fine tannins, bright fruit tones and lengthy finish. This Merlot is dark in the glass, with lots of oak, vanilla and caramel aromas against a black-cherry and chocolate-cake backdrop on the nose. 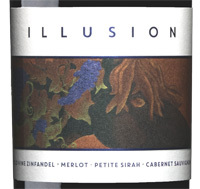 Soft and chalky tannins frame the sip, where blueberry, vanilla and chocolate-cream flavors prove lush and inviting. Delicious with summer grilled sausages or herb-roasted chicken. Fruit from the Horse Heaven Hills and Walla Walla Valley, including Malbec and Syrah. Dark purple hue and aromas of black currant, plum sauce, caramel and crushed green peppercorns. Recommended pairings include wild game, roasted pork, grilled vegetables or ribeye with vegetable puree. Dry and crisp with bright stone fruit aromas, refreshing citrus and orchard fruit flavors, and a floral, herbal twist on the finish. An excellent aperitif which also complements grilled fish, chicken dishes and fresh cheeses. Nose of apple blossom and pear. On the palate, ripe flavors of white peach, Gravenstein apple and Meyer lemon with a near flinty finish that provides balanced acidity. 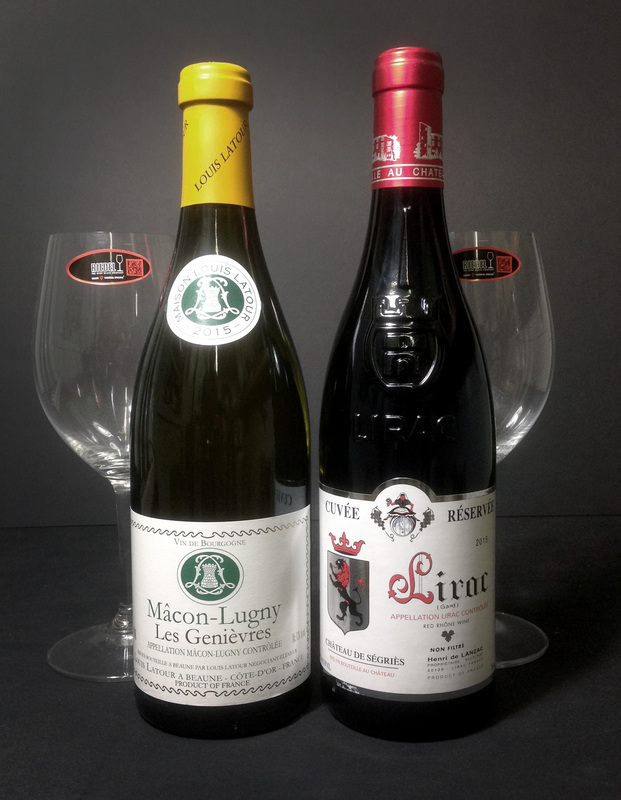 Pairs well with a wide variety of light fish and shellfish dishes. 85% Symphony, 15% Chenin Blanc. Honey is the key word to describe the nose and flavor of this extremely aromatic and just slightly sweet wine, which also offers notes of honeysuckle and honeydew. Captivating aromas of gardenia, honeysuckle and star jasmine. Flavors are tropical with peaches, pineapple and a hint of ginger, finishing off crisp and clean. An ideal complement to many types of cuisine, especially ones that are on the spicy side, such as Pad Thai or other Thai dishes. The hot curry found in Indian cuisine is cooled by Obsession’s fresh fruit flavors, great with grilled fruits. 100% Tempranillo Vines over 20 years old. 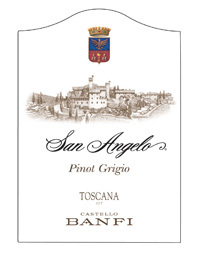 An approachable young wine with floral and mineral notes and elegant acidity. Not aged in wood. This youthful red sports floral and mineral notes leading to a palate of deep red and blue fruits. Plummy balsamic notes are the perfect foil for the elegant acidity. Aged completely in stainless to keep the freshness of the fruit. Great with lighter meats and fowl but will also stand up to a steak. Intense ruby red with fuchsia and black notes on the outline. 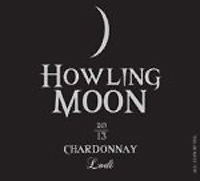 Aromas of huckleberry pie, blackberry, black fig and dulce de leche with hints of mocha and eucalyptus. 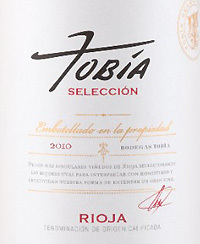 Concentrated, with a sweet, broad blueberry entry due to the ripe, pliable tannins. Well-structured, with a balanced acidity and long finish. Rich flavors and bright acidity. Smooth, but robust tannins. Dark fruits, blackberry and plum. burgers and barbecued chicken.